It features a new Premium Economy Class. (SPOT.ph) Kiss marks and heart-shaped logos, the peace sign, bright-colored text, and psychedelic patterns are just some of the visuals that take us all back to the heydays of the hippie movement in the '60s and '70s. These things symbolize an anti-establishment subculture during a time when the world needed some shaking up. 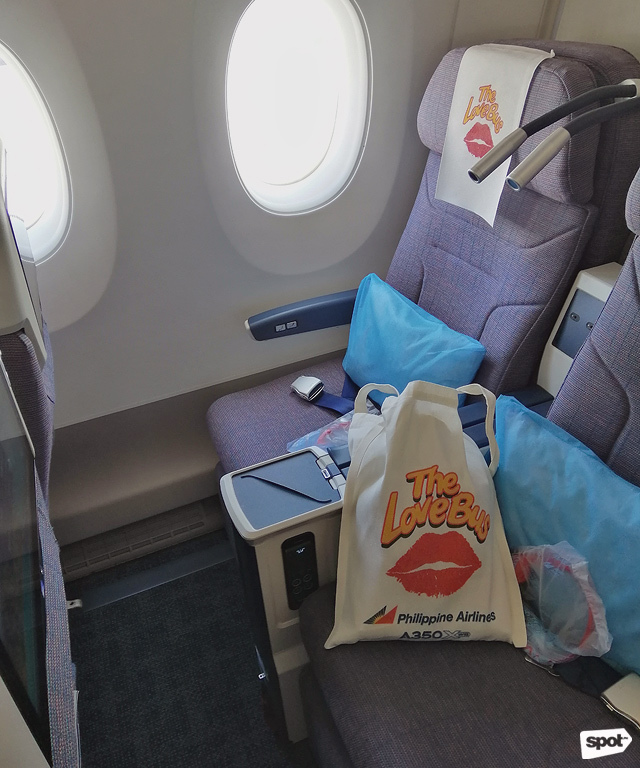 For Philippine Airlines, the kiss mark meant one thing: pioneering a different kind of airline service by unveiling its first ever Airbus A300-B4 aircraft in November 1979. 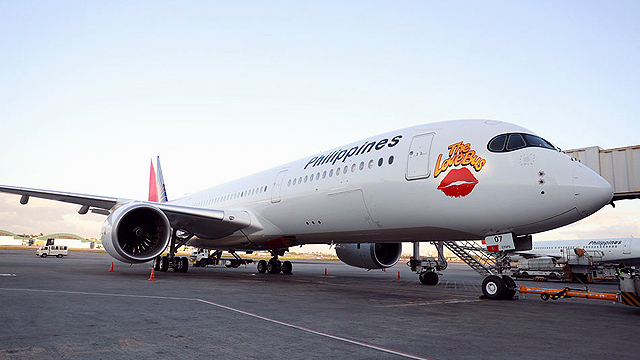 Forty years on, the flag carrier celebrates its partnership with the aircraft provider by putting the famous kiss mark logo on its 2019 edition of “The Love Bus,” which is Philippine Airlines’ fifth Airbus A350-900. 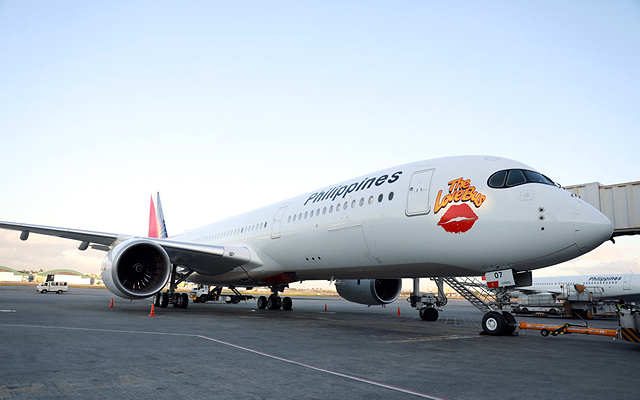 The brand-new plane was delivered from France to Manila in February, and was launched with a special flight to Bangkok, Thailand, on April 8. 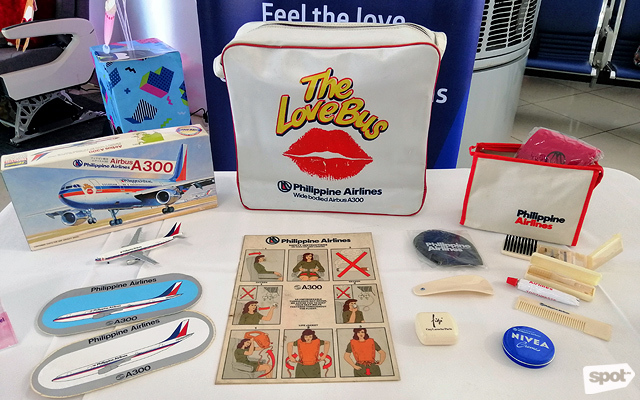 Take a walk down memory lane with these memorabilia from PAL's first A300. The Airbus A350-900 features a new Premium Economy Class, which isn’t quite as expensive as Business Class but offers service that’s a notch higher from the usual Economy Class. 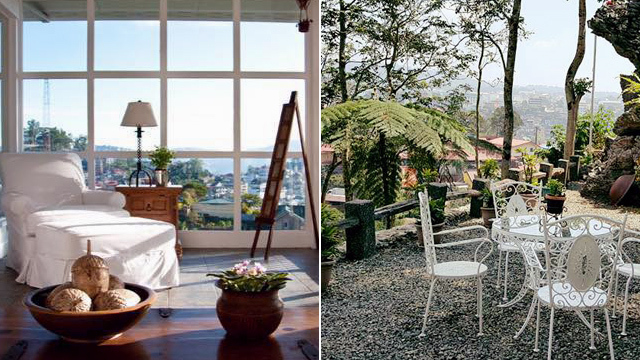 It’s perfect for an indulgent getaway that’s still within budget, so you can spend more when you get to your destination. 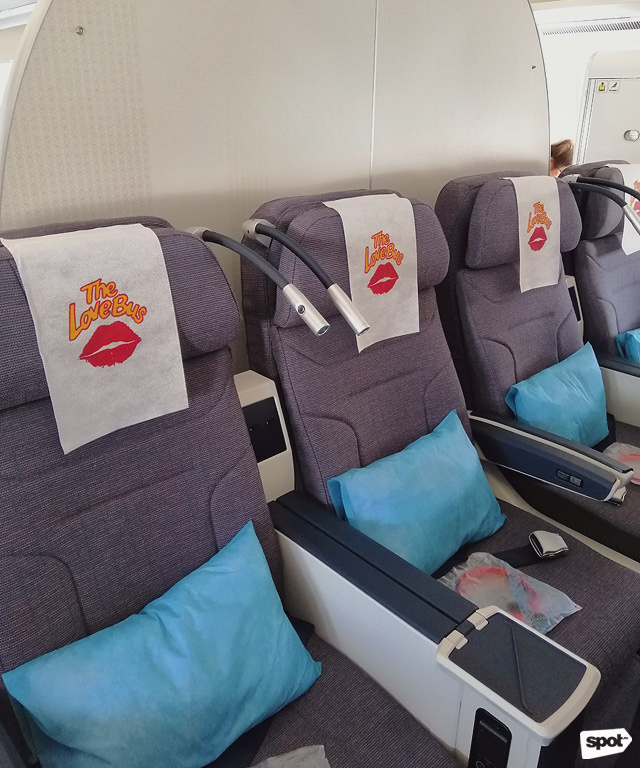 The reclining seats with leg rest and spacious legroom have individual screens that provide up to 300 hours of content, from your favorite local rom-coms and binge-worthy TV series. The aircraft, after all, is used for non-stop, long-haul flights to New York, London, and Toronto—and not losing your mind to boredom is important. Priority check-in, early bag retrieval, and greater baggage allowance are some of the additional perks. With more than enough space, you can easily stretch your legs even while on a long-haul flight. Seats recline up to eight inches and come with leg rests. PAL ordered a total of six A350s from Airbus, four of which were delivered in 2018. 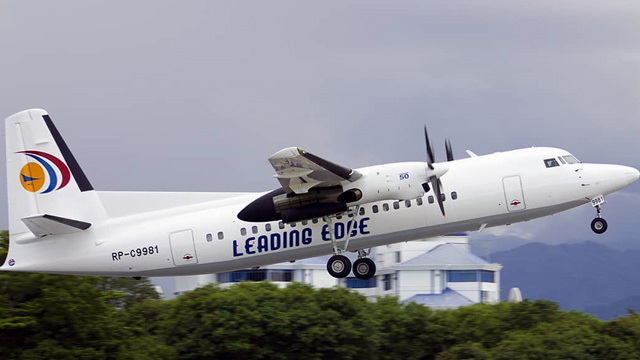 The last aircraft of the fleet is set to arrive later in April.